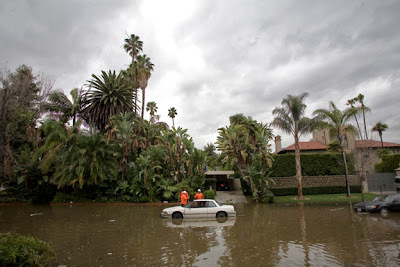 Heavy winter rains fell in Los Angeles causing minor flooding on Rossmore Ave. in the Larchmont area of Los Angeles. 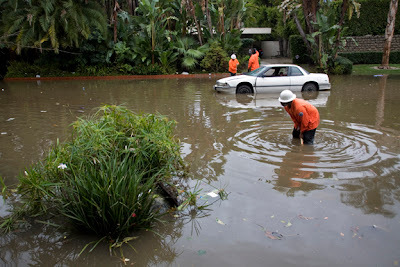 A LA City official stated that over turned trash cans along with the heavy rains caused the street to flood. 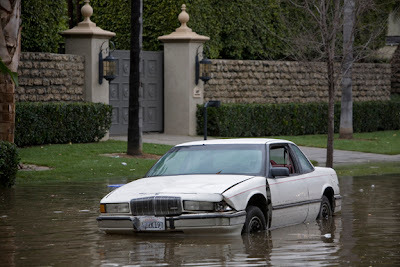 More heavy rain is expected along with mud slides over the next couple of days.